Batch type Electrochlorinator produces required chlorine in the form of Sodium Hypochlorite in 8 hours. Add salt and water and switch on the power supply. The system automatically stops after producing required chlorine. Supplied with Reaction Tank fitted with the Titanium Electrolyzer and Power Supply Unit with Auto Timer Controls. Storage Tank and Dosing Pump are optional. To inject Gas Chlorine, Liquid Chlorine or Bleaching powder to disinfect water or waste water is a common practice all over the world. But hereafter you do not have to face the problem of procuring and the hazard of storing of these chemicals. Our Electrochlorinator produces Liquid Chlorine (Sodium Hypochlorite) from common salt as per your requirement. It is safe and cost saving. The long life Power supply. Power supply unit can take wide voltage fluctuations and frequency changes. Waste water, Effluent and Sewage treatment. 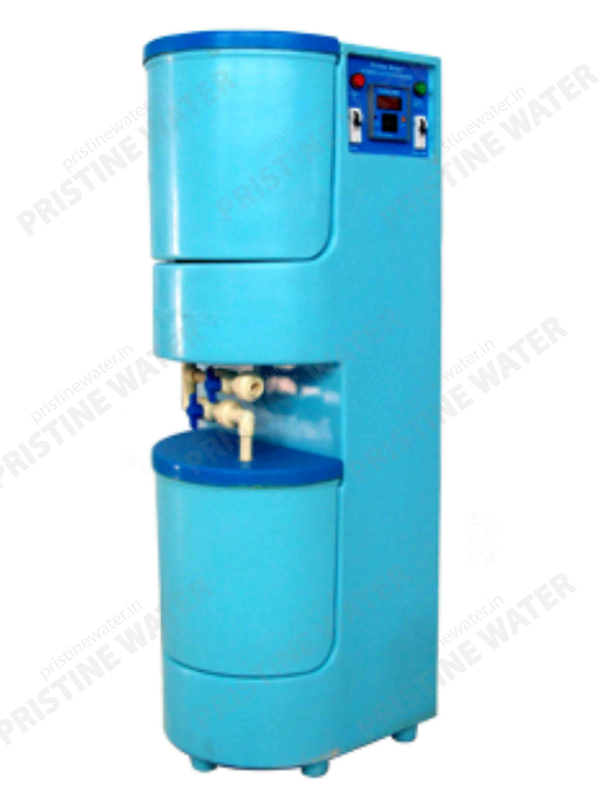 Hotels, Hospitals, Educational institutions for Drinking water. Open the water tap and fill the reaction tank up-to the indicated mark. The water will dissolve the salt as it fills the tank. Open the bottom Valve and remove all the sodium hypochlorite into a storage tank. The hypo can be dosed from the storage tank through a Dosing Pump. 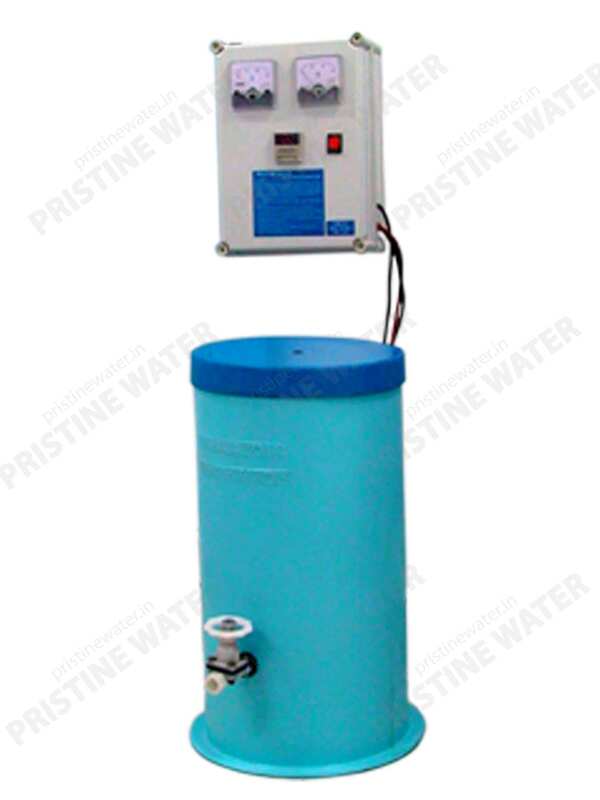 Compact Electrochlorinator is a Batch type disinfectant generator which produces Sodium Hypochlorite, a strong disinfectant, by the process of electrolysis from salt and water. With is equipment the need for buying and storing Liquid chlorine or Bleaching powder is totally eliminated. All you need is Salt and Electricity. The disinfectant generated by ‘Compclor’ can be directly injected into water or wastewater to disinfect up 60000 liters of water per day depending on the contamination. This equipment is a total system by itself, Reaction tank, Hypo Tank, Power supply unit and Dosing pump are all integrated into one single unit. They are prewired and piped, so they can be installed any were without any civil foundation or support stands. Reaction tank, Hypo Tank, Power supply unit and dosing pump are all integrated into one single unit. No need for interconnection of cable or pipeline. In eight hours the system produces 60 grams of active chlorine. Electronic timer with memory helps the system to complete the batch even if there is a power break-down. Storage Tank is provided with level switch to protect the dosing pump from dry run. Can disinfect upto 60000 liters of water per day at 1ppm dosage. Control Module : Electronic Power Supply. Provided with Electronic timer with auto stop after 8 hours. Dosing Pump : Diaphragm operated Electronic metering pump.